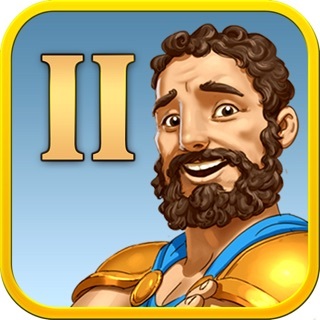 Get ready for 12 Labours of Hercules VI - Race for Olympus, a breathtaking strategy time management game, brought to you by GameHouse! As one of the first to respond, Hercules and his wife Megara discover a dastardly crime scene. Zeus is missing, and it seems he's been abducted! Without hesitation, the brave couple set out in search of him. Tag along and visit never before seen places as you clear roads, construct buildings, vanquish beasts and much more. 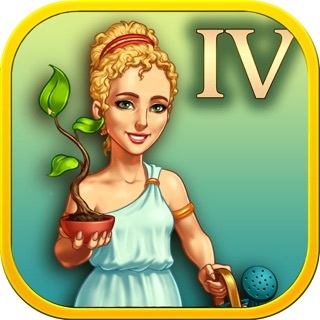 Can you prove your detective skills and unravel who's behind Zeus' abduction? 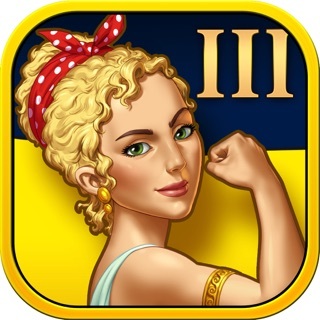 Prepare yourself for the adventure of a lifetime and play GameHouse´s latest spectacular strategy time management game! - Clear roads, CONSTRUCT BUILDINGS, vanquish beasts and more. What are you still waiting for? 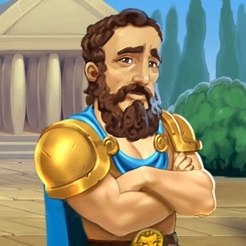 Rescue the supreme god Zeus in one of the best strategy time management games GameHouse has to offer! I would have given it a 5 star rating except for level 3.5. I honestly believe the puzzle piece is missing on this level. I even looked at that screen with a magnifying glass and still could not find the puzzle piece and played it over and over on the relaxed mode so I could have for more time to look for that puzzle piece. I found all the other puzzle pieces throughout the entire game except this 1 piece which means you don't get to complete 1 of the bonus levels. I have an iPad Air 2 so maybe this piece is off the screen? I've contacted GameHouse about this, so maybe they will address it and fix it if it isn't a player problem. Love the game. It is rare to find a good Time Management game any more. This is just plain fun. Anybody could play it. Buy and enjoy it. The price is a little steep, but the gameplay is awesome! For those having trouble with bonus levels, each level has a small tile hidden in it, labeled with what looks like an "H". After you find each one (and complete the level), go to the map and tap on the jigsaw puzzle icon for that set of 10 levels and complete the puzzle, which will unlock the bonus level for that set of 10 levels. There are 5 jigsaw puzzle icons on the map screen, hence the 5 bonus levels. There are also levels that have hidden grapes and other objects, but I have yet to figure out what they're for. Hope that helps! 2 stars for the My kingdom for the Princess clone. It was bad enough with the drug addict doctor in the Hopes Medicine series never facing consequences for his illegal actions, in fact he was rewarded. If I hadn’t paid for the game I would have deleted it, but I enjoy My Kingdom for the Princess, so I overlooked that. THEN I found the second anti U.S. political comment. Maybe you guys should take a look at your own countries, but maybe you aren’t able to see the news, I have read stories that European news is censored, (example Sweden). Look, gameplay should be fun, relaxing and an escape from the stresses of the day, don’t give in to the temptation to behave in an immature manner, are the comments worth your fans who pay the bills? Hi There.. We don't have any anti US president in the gameplay of this game. If you have any concerns, please email us at ghos@gamehouse.com.